This fall my friend Caitlyn messaged me and said she knew I was full, but would I be able to make an opening for one more shoot? She kind of wanted to get couple pictures done of her and Peter, and said I could take as long as I wanted to edit. I've known Caitlyn for awhile now, and always LOVE second shooting weddings with her. who is local to bounce ideas off of, hang out with in person, or shoot together! She and Peter got married earlier this year and are hilarious. 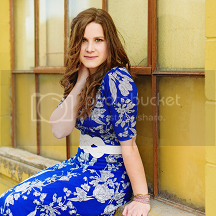 Whenever I am with Caitlyn I'm laughing, so I knew this shoot would be super fun. We started at an empty greenhouse..which at first I was bummed because there was no greenery. But looking at the pictures we got I really adore the simplicity of it, and how the neutral tones and lines make them pop as the subjects. And then we went downtown and basically FROZE!! Seriously, it was so cold..thanks for rocking the weather you two. Really excited to share my favorites from our time together! Since I primarily photograph families, getting to focus on just a couple is always a treat for me. the one on the BLUE STAIRS!!! their eyes...everything...that pic is AWESOME! actually I especially love all of the ones taken with stairs, like that cool spiral staircase too. Referring to the popularity of equine events, Alan Switzer, cheap ray ban sunglasses australia director in the Sports Business Group, said: "Horseracing continues to be the UK's second most popular sport, after football, in terms of attendances. "No other nation in the world can boast of having such a ray ban sunglasses australia sale high quality and varied set of meetings." Meanwhile, rugby union attendances reached 4.9 million overall in 2013-14, and are expected to increase next year in cheap ray bans australia sale the run up to the Rugby World Cup in autumn 2015. These are killer. You did so good!!! discount ray ban sunglasses Climb up ray ban factory outlet from the ground when one side of a large package, high raised as if sale is a dragon. Haha, cheap, you become dragons slightly. Wuzui laughed, ray ban factory store cheap discount ray ban sunglasses rushing tears clutching his head. Grass, and I did not run on oversight discount ray ban sunglasses infuriating, hurts me. Watching discount ray ban sunglasses laugh laughter, cheap but also by her infection, with a laugh.